Navy Cmdr. 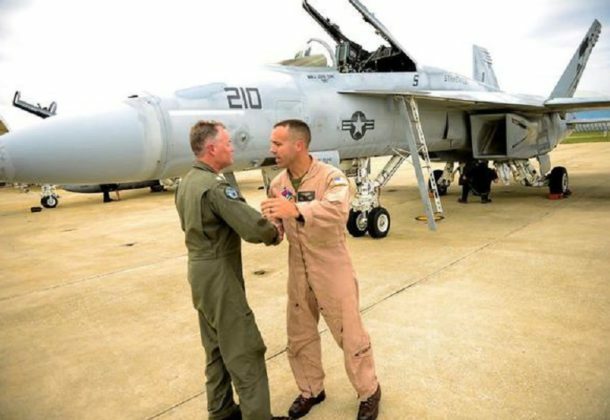 James Carver has relieved Marine Lt. Col. Kevin Erker as commanding officer of Air Test and Evaluation Squadron (VX) 23 after serving as the squadron’s chief test pilot since October 2014, NAVAIR News reports. With Carver’s appointment to commanding officer, Cmdr. Johannes Jolly assumed duties as VX-23’s chief test pilot. Sikorsky Aircraft will remain in Connecticut and will build the King Stallion, the CH-53K heavy lift helicopter to be used by US Marines. The deal provides up to $220 million in grants and tax breaks to Lockheed Martin in exchange for the company achieving employment and in-state spending requirements, the Hartford Courant reports. The military wants to replace a host of current helicopters with aircraft that not only fly much faster, but can fly without a human pilot. The Future Vertical Lift program will study whether FVL should be an optionally piloted vehicle, capable of accommodating a pair of human pilots for combat missions or of flying with an empty cockpit for routine runs, Breaking Defense reports. Japanese and US government officials joined Lockheed Martin to celebrate the rollout of the first Japan Air Self Defense Force F-35A Lightning II, marking a major milestone in Japan’s enhanced national defense and strengthening the future of the US-Japan security alliance, Military Technologies reports. China’s air force said it had flown more than 40 bombers and fighter planes through a strait between Japanese islands on their way to drills in the Western Pacific, Reuters reports. Regular Western Pacific drills and patrols through the East China Sea air defense identification zone protect China’s sovereignty and national security, a Chinese official said. The F-16 fighter, designed as a lightweight fighter, is still in service and The National Interest asks who would win if the F-16 took on China’s J-20, Russia’s Su-35, or the PAK-FA? The newly formed Marine Fighter Attack Squadron, VMFA-211, became the first fully operational F-35B squadron to shoot an air-to-air missile during a training exercise at Tyndall Air Force Base, the Yuma Sun reports. At the National Press Club in Washington, DC, Bell Helicopter unveiled its V-247 Vigilant tiltrotor unmanned aerial system, designed to meet the Marine’s plan for a larger and armed shipborne UAS platform, Australian Aviation reports. RT News reports, another F-35A fighter jet caught fire during an exercise at Mountain Home Air Force Base, Idaho. An investigation has been launched into what caused the fire in the aft section of the aircraft, according to the Air Force. Arianespace boasted it was “the most reliable launch services provider in the marketplace.” The boast followed a Motley Fool columnist ranking the big three space launchers in this order: United Launch Alliance, Arianespace, and SpaceX. So after writer Rich Smith dug into the numbers, he says there does seem to be an argument to be made in Arianespace’s favor. In an opinion column in Breaking Defense, Robert Hale, a former comptroller and CFO, believes the Defense Department needs to find practical ways to apply the brakes to year-end spending so that DoD funds only its highest-priority needs. Usually year-end spending pays for lower-quality and lower-priority projects, he writes. The Defense Department is studying whether a boost of testosterone can keep military muscle and brains operating in top form during long periods of combat, Military Times reports. When troops are engaged in prolonged physical activity, they are unable to consume the calories needed to sustain high physical and mental function, medical researchers say. Web LLC, Springfield, Virginia, is being awarded $9,196,057 for firm-fixed-price task order 0005 under a previously awarded, multiple award, design-build construction contract (N69450-15-D-0613) for repairs to an aircraft simulator complex at Naval Air Station, Kingsville. The work to be performed provides for upgrades that address energy efficiency, operational, and regulatory issues. A large portion of the complex will see a general refurbishment. Work related to the building exterior envelope, includes re-roofing buildings, adding insulation to the exterior walls, replacing windows, and weather-sealing doors. Foundation, plumbing, heating, ventilation, and air conditioning, and fire alarm systems will be addressed, overhauled, refurbished or replaced. Work will be performed in Kingsville, Texas, and is expected to be completed by September 2018. Fiscal 2016 operation and maintenance (Navy) contract funds in the amount of $9,196,057 are obligated on this award and will expire at the end of the current fiscal year. One proposal was received for this task order. The Naval Facilities Engineering Command, Southeast, Jacksonville, Florida, is the contracting activity. ASRC Communications Ltd., Beltsville, Maryland, has been awarded an estimated, not-to-exceed $43,565,332 modification to exercise the option on previously awarded contract FA3002-16-C-0004 for base operations support services. Work will be performed at Vance Air Force Base, Oklahoma, and is expected to be complete by Sept. 30, 2017. This award is the result of a competitive small business set-aside acquisition with six offers received. No funds are being obligated at the time of award. Air Force Installation Contracting Agency, Randolph Air Force Base, Texas, is the contracting activity. Range Generation Next LLC (RGNext), Sterling, Virginia, has been awarded a $95,692,752 (P00091) modification to exercise an option on previously awarded contract FA8806-15-C-0001 for Launch and Test Range System (LTRS) integrated support contract operations, maintenance, and sustainment. Work will be performed at Western Range near Vandenberg Air Force Base, California, and the Eastern Range near Patrick Air Force Base, Florida, and is expected to be complete by Sept. 30, 2017. Fiscal 2017 operations and maintenance funds in the amount of $95,692,752 are subject to the availability of funds and will be obligated when they become available. Space and Missile Systems Center, Peterson Air Force Base, Colorado, is the contracting activity. Northrop Grumman System Corp., McLean, Virginia, has been awarded an $85,805,760 contract order for B-2 high frequency, receiver transmitter engineering services. Contractor will provide engineering, prototype, construction and qualification testing of the B-2 high frequency, receiver transmitter. Work will be performed at various locations to include; Edwards Air Force Base, California; Cedar Rapids, Iowa; McLean, Virginia; and Oklahoma City, Oklahoma, and is expected to be complete by Jan. 31, 2020. This award is the result of a sole-source acquisition. Working capital funds in the amount of $85,805,760 are being obligated at the time of award. Air Force Sustainment Center, Tinker Air Force Base, Oklahoma, is the contracting activity (FA8119-16-F-0036). Alpha-Omega Change Engineering Inc., Williamsburg, Virginia, has been awarded a $26,902,540 modification (P00001) to the previously awarded contract FA8621-16-C-6331 for academic and simulator formal training and continuation training for multiple mission design series. Contractor will provide aircrew instruction including initial and mission qualification, refresher, upgrade, and currency; student services; contractor logistics support, concurrency management, training systems support center, courseware, and cybersecurity. The locations of performance are Kirtland Air Force Base, New Mexico; Davis-Monthan Air Force Base, Arizona; Joint Base Andrews, Maryland; and Moody Air Force Base, Georgia. The work is expected to be complete by Nov. 30, 2018. No funds are being obligated at time of award. Air Force Life Cycle Management Center, Wright-Patterson Air Force Base, Ohio, is the contracting activity. Tecolote Research Inc., Arlington, Virginia, has been awarded a $12,734,375 cost-plus-fixed-fee contract for cost estimating modeling research and development services (CEM R&D). Contractor will provide services to address technical requirements that are beyond the scope of previous Department of Defense programs supported by the Office of the Secretary of Defense Cost Assessment and Program Evaluation. In order to address the remaining technical requirements for CEM R&D services, the Air Force Cost Analysis Agency needs to utilize contractor researchers, developers, and analysts to collect the missing data, perform directed research and develop improved data, methods and tools. Work will be performed at Arlington, Virginia, and is expected to be complete by Sept. 29, 2021. This award is the result of a competitive acquisition with four offers received. Fiscal 2016 research, development, test, and evaluation funds in the amount of $3,210,000 are being obligated at the time of award. The Air Force District of Washington, Joint Base Bolling-Anacostia, Washington, District of Columbia, is the contracting activity (FA7014-16-C-5009). Harris Information Technology Services Inc., Herndon, Virginia, has been awarded a $10,897,190 modification (P00190) to exercise an option on previously awarded contract FA2550-08-C-8011 for three months of operations, maintenance and logistics support of the Air Force Satellite Control Network. The locations of performance are Schriever Air Force Base, Colorado; Colorado Springs, Colorado; Ellison Onizuka Satellite Operations Facility and Vandenberg Tracking Station, Vandenberg Air Force Base, California; Diego Garcia Station, Diego Garcia, British Indian Ocean Territory; Guam Tracking Station, Andersen Air Force Base, Guam; Hawaii Tracking Station, Kaena Point, Oahu, Hawaii; New Boston Air Force Station, New Hampshire; Eastern Vehicle Checkout Facility, Cape Canaveral Air Force Station, Florida; and Thule Tracking Station, Thule Air Base, Greenland. The work is expected to be completed by Dec. 31, 2016. Fiscal 2016 operations and maintenance funds in the amount of $10,144,397 are being obligated at the time of award. The 50th Contracting Squadron, Schriever Air Force Base, Colorado, is the contracting activity. US Marine Management Inc., Norfolk, Virginia, is being awarded a $34,501,319 modification under a previously awarded firm-fixed-price contract (N00033-09-C-2504) to exercise one 182-day award term option period for the operation and maintenance of six Navy Oceanographic Survey Ships (T-AGS). These ships operate worldwide and support the Naval Oceanographic Office performing acoustic, biological, physical, and geophysical surveys, providing much of the US military’s information on the ocean environment. Work will be performed worldwide, and is expected to be completed by March 31, 2017. Navy working capital funds in the amount of $34,501,319 are obligated for fiscal 2017 and will not expire at the end of the current fiscal year. The Navy’s Military Sealift Command, Norfolk, Virginia, is the contracting activity (N00033-09-C-2504). American Operations Corp. Support Services LLC, Chantilly, Virginia, is being awarded a $12,118,399 modification under a previously awarded indefinite-delivery/indefinite-quantity contract (N62473-08-D-2307) to exercise option year four for base operations support services at the Naval Air Facility El Centro. The work to be performed provides for support services for grounds electronics; airfield facilities; passenger terminal and cargo holding; supply; morale, welfare, and recreation; combined bachelor housing; facility management and investment; janitorial services; pest control services; swimming pools operation/maintenance; grounds maintenance; street sweeping; electrical; gas; wastewater; water; base support vehicles and equipment; and environmental. After award of this option, the total cumulative contract value will be $106,705,389. Work will be performed in El Centro, California, and is expected to be completed September 2017. No funds will be obligated at time of award. Fiscal 2017 operations and maintenance (O&M), Navy; fiscal 2017 defense health program; fiscal 2017 Defense Commissary Agency account; fiscal 2017 family housing (O&M); fiscal 2017 Navy working capital funds; and fiscal 2017 non-appropriated contract funds in the amount of $10,165,069 for recurring work will be obligated by individual task orders issued during the option period. 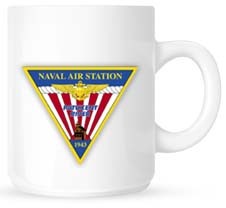 The Naval Facilities Engineering Command, Southwest, San Diego, California, is the contracting activity.